The heatwave might be over, but summer isn’t going anywhere. And if you’re missing the hot weather, there’s no better way to celebrate the vacation season than hosting a pool party in a spectacular city-centre location. With Signature Living’s exclusive new offer, you can host a summer soirée at the ultimate pool party venue in Liverpool. For only a few weeks in August and September, enjoy an unforgettable pool party and indulge in luxurious overnight accommodation for only £99 per guest. 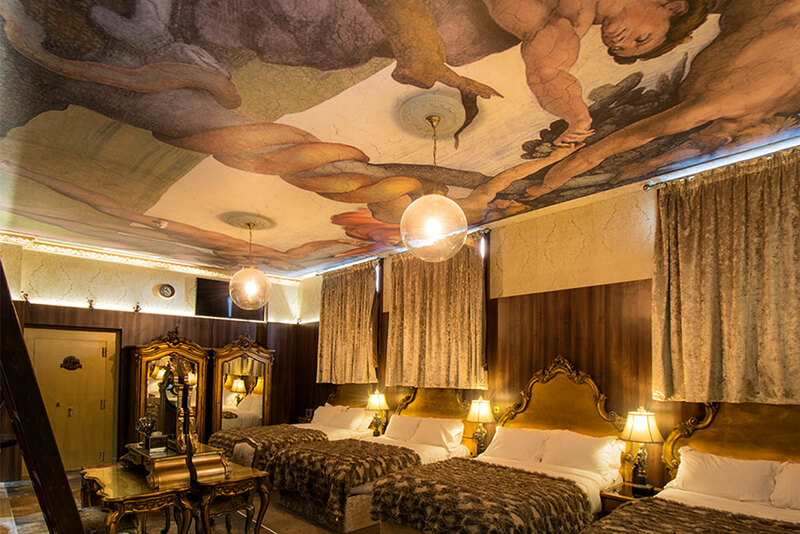 Step inside this subterranean hotel suite and be transported back to the glamourous era of the Titanic, with its opulent furnishings, dramatic wall murals and decadent décor. Sleeping up to 20 guests, the incredible bedroom will be yours for the night. Situated within the historic 30 James Street hotel, the home of the Titanic, you’ll feel like first-class passengers in this premier suite, with its sumptuous interiors and golden touches. 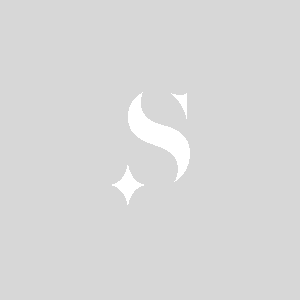 At Signature Living, we’re famous for providing high-quality group accommodation in the heart of Liverpool and Morgan’s Vault is one of our most popular venues for hen parties, girl’s nights and, of course, pool parties. There’s no where else in the city quite like it. Preen and pamper for the night ahead in the suite’s luxurious ensuite, which includes a waterfall shower and whirlpool bath. And with so much space in the bedroom, you and your guests will have plenty of space to prepare for the best pool party of your life. 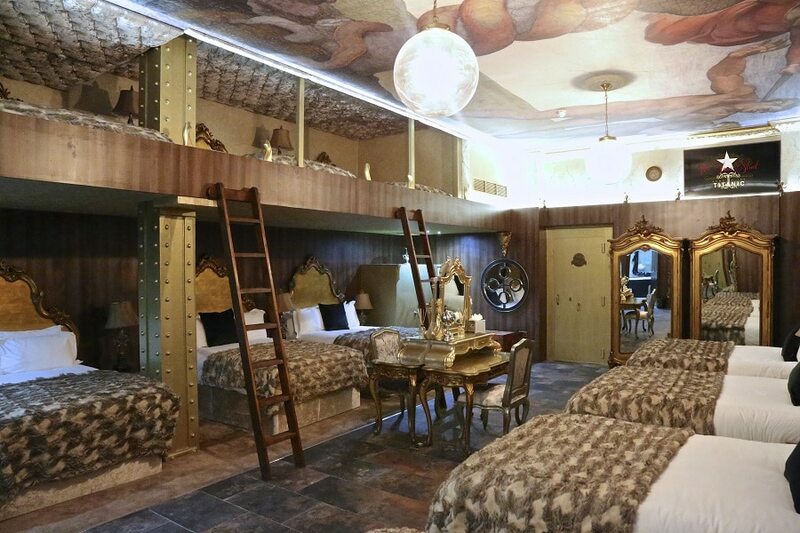 Make sure you check out what’s at the top of the ladders in the bedroom, too – built to replicate a cabin in the famous RMS Titanic, you’ll find more comfortable double beds elevated on their own platform. After checking in and relaxing in the grand interior of the suite, your own personal concierge will arrive at the room with a special gift – the key to the ultimate pool party. 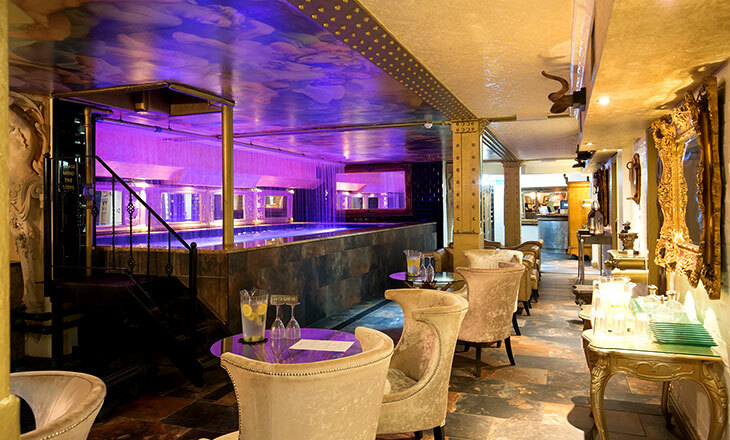 Step inside the secret pool venue at Morgan’s Vault for a night of decadence and debauchery. This incredible space boasts a spectacular 40-foot private pool complete with mood-lighting and rainfall effect water feature, as well as plenty of room for dancing to the surround-sound music system and DJ booth. 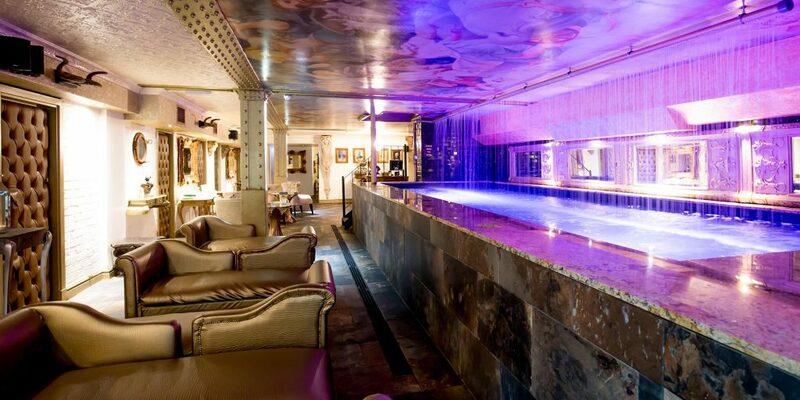 With a beautiful painted ceiling, and furnishings that evoke the glamourous era of cruise liner travel, it’s a stunning location to host the ultimate pool party. Where better to toast the end of the summer season than in these opulent surrounds? Plus, our incredible offer includes a £500 tab at the custom-made bar which is designed to replicate an ornate organ, so we can assure you the drinks will be flowing all night long. Morgan’s Vault is one of Liverpool’s favourite pool party venues – hosting your summer celebrations will guarantee an unforgettable experience for you and all your guests. Our exclusive pool party offer is available only in August and September this year. 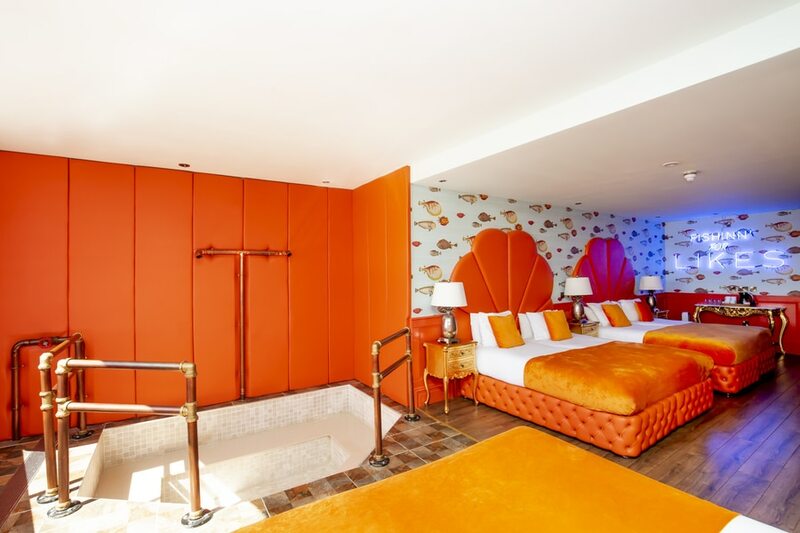 For just £99 per guest you can enjoy an overnight stay in the incredible Morgan’s Vault suite, plus exclusive access to the pool party vault. Time is running out to book our exclusive pool party offer, and there’s limited availability, so if you want to host an unforgettable pool party, call our team on 0151 236 0166 today. *Based on full occupancy of the suite with 20 guests.